A public lecture by Jane Barratt, Secretary General of the International Federation on Ageing (IFA). 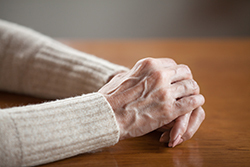 In our rapidly ageing world, loneliness is quickly becoming a public health crisis with significant consequences that will impact every Australian in one way or another. Improved life expectancy often brings with it the loss of family and friends, not to mention the loss of a purpose in community. Findings from the UK government commission on loneliness in 2017 showed for the first time the extent of this often-invisible yet growing social stain. More than 9 million people in the UK often or always feel lonely, and some 200,000 older people in Britain had not had a conversation with a friend or relative in more than a month. Loneliness does not discriminate by age, gender, community, background or wealth and most often has a negative impact on a person’s mental and physical health including increased risk of depression, anxiety and dementia, high blood pressure and cardiovascular problems. Older people are not a homogeneous group but rather a growing diverse population with rich life experiences that shape the way they think and respond to loss and loneliness. This lecture will provide a glimpse into the way different countries are responding to the social situation of loneliness towards a healthier ageing population. As much as we would like to think that there is an easy answer, it goes far beyond offering someone a cup of tea. Jane Barratt is the Secretary General of the International Federation on Ageing (IFA), which comprises government, industry, academic and non-governmental members in over 70 countries, representing some 75 million older people. Our vision is a world of healthy older people whose rights are both protected and respected achieved through being a global point of connection for experts and expertise that help to shape and influence age-related policy globally. 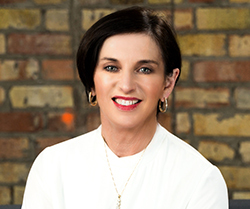 Jane has direct responsibility for the organization’s global operational performance, quality and strategic implementation, and business development. This includes leadership at the United Nations Economic and Social Council in New York, Geneva and Vienna and formal relations with the WHO Department Ageing and Life-course. She has many national and international roles, including until recently Chair, Standing Selection Committee Chair for the Networks of Centres of Excellence of Canada and is a former member of the Global Agenda Council on Ageing for the World Economic Forum.